I'm planning a Sonoma County-sourced Thanksgiving. Fresh, free-range turkey, local potatoes and veggies. My heirloom Halloween decorations have already been baked and are waiting in the freezer to become delicious Thanksgiving pies. 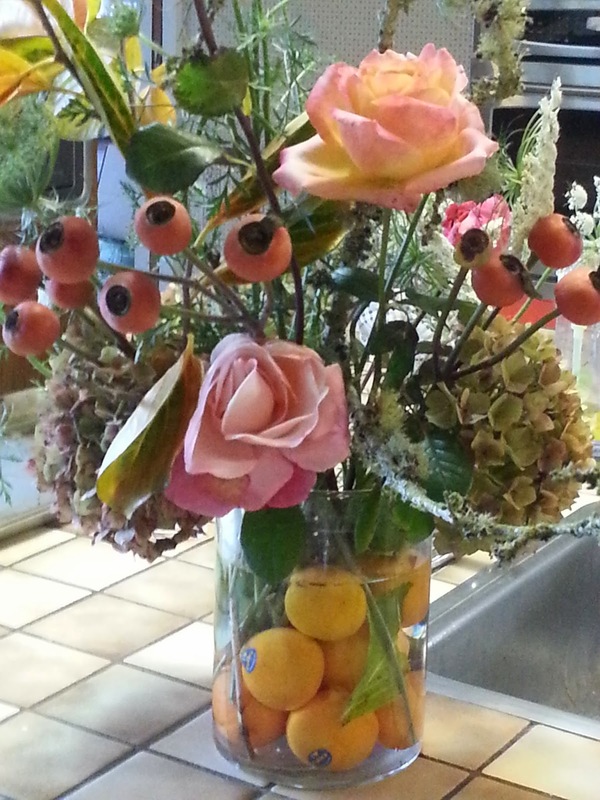 Rose hips, persimmons, pumpkins and pomegranates from the garden will make a beautiful centerpiece. Is it a Soup or a Stew?